Towards the end of May I baked some delightfully chewy, not overly sweet, Oat Chocolate Chip Cookies, courtesy of “The Clever Cook“, by Lucy Doncaster. The first batch made a lot of cookies, roughly four dozen, but it wasn’t quite enough for what I was baking for. Two full batches would’ve been far too many so on a whim I halved the second batch, put one half in the fridge to chill for an hour before baking, and put the other half in the freezer. 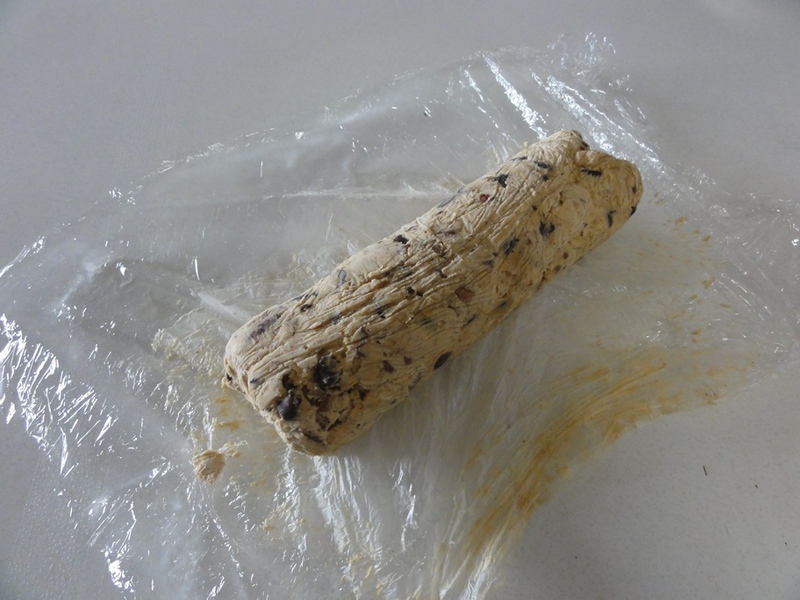 There are general rules to follow about freezing cookie dough with respect to what ingredients you should and shouldn’t freeze. 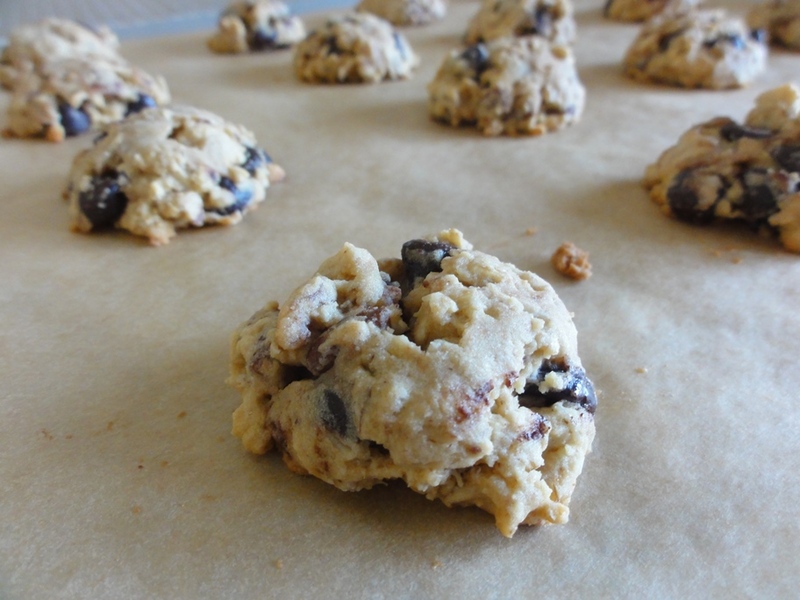 I don’t happen to know what those rules are, I just know that they’re out there, and I didn’t bother to look them up before freezing the Oat Chocolate Chip Cookie dough. Thus, this became an experiment! To prepare the dough for the freezer I formed it into a roll, imagining myself slicing off even portions and placing them straight onto a lined baking sheet, much like the pre-made cookie dough you can often find in the same aisle of the supermarket that has biscuits and other pastry dough in ready-to-go tubes. I then carefully wrapped the roll in a couple of layers of plastic wrap, being mindful to push as much air out as possible, and popped it in the freezer. Two months and a couple of days later I took the dough out and put it in the fridge to thaw for 48 hours before the unwrapping and baking began. 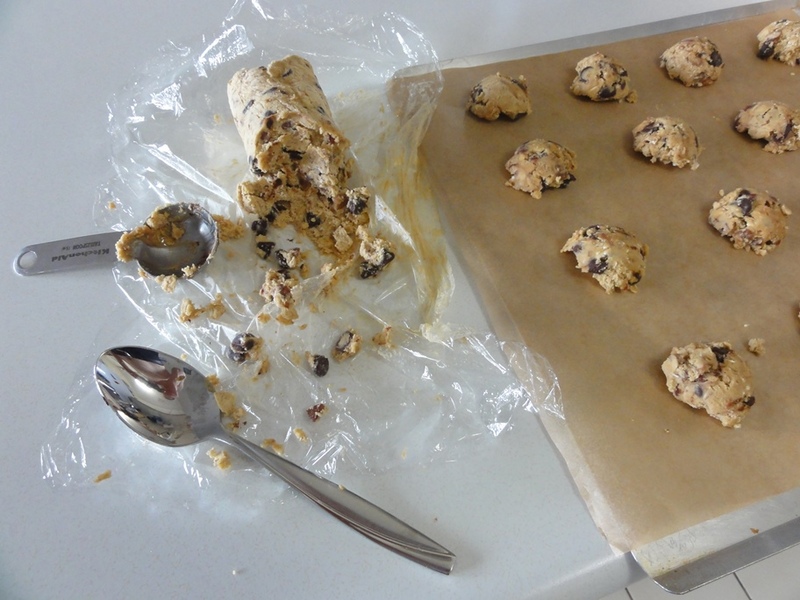 My original notion of slicing off cookie dough fell apart when I realized I’d made the roll too thick, so instead I got out the tablespoon and set to work. The dough was tougher to work with than the fresh dough had been back in May, so I wound up pinching off chunks of dough and pressing them into the tablespoon to get a roughly equal portion each time. 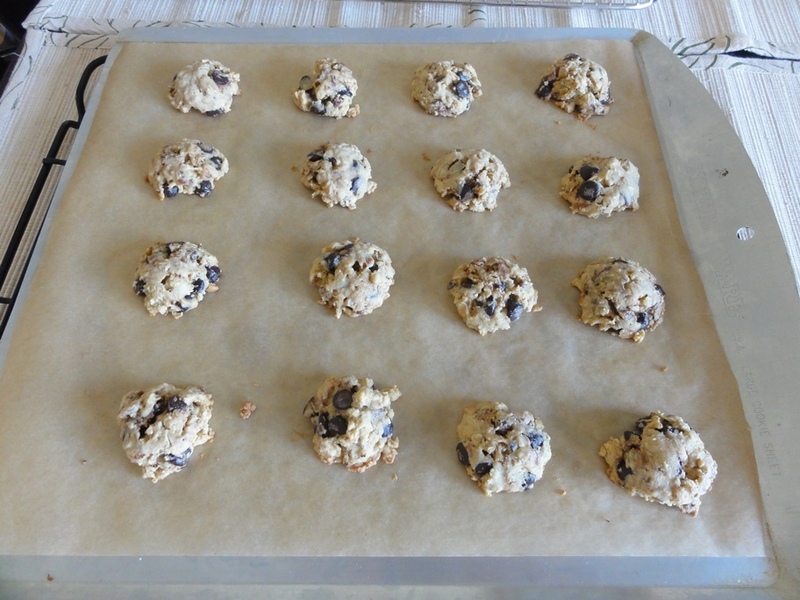 I gave plenty of room for the cookies on the sheet, not being sure what would happen to them in the oven. The cookies rose only a little during the 11 minutes I gave them in the oven, at the end of which the edges were turning golden brown. I had to wait for a few tense minutes while they cooled before I could find out whether the experiment was a success. The short answer was yes, absolutely! 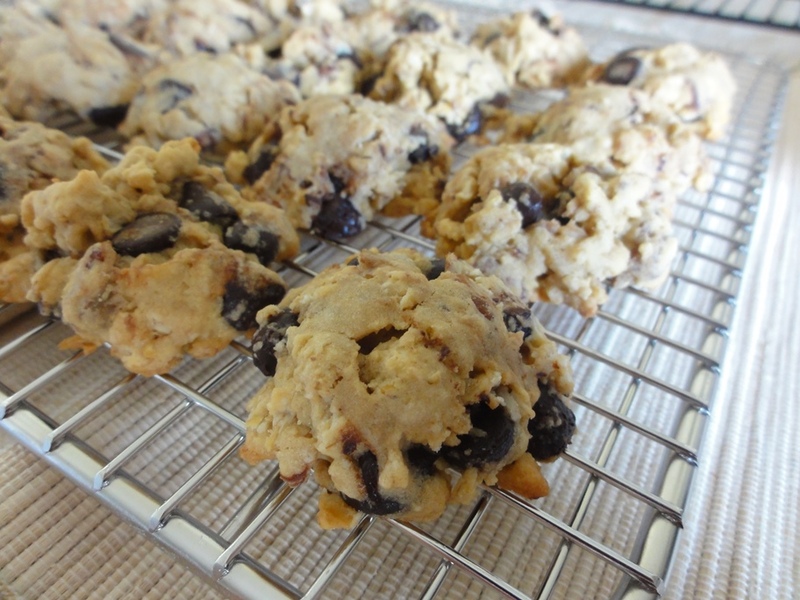 The cookies were a little more dense than the original batch, which is not terribly surprising given their two months spent in the freezer, but they were entirely edible and tasted just as good. The pecan flavor was still strong, the chocolate hadn’t suffered, and the same “just enough” hint of brown sugar was there as it had been before. They held their shape very well and had the deceptive appearance of being smaller than the freshly baked versions, despite the same volume of dough per cookie, meaning one could eat several of them and justify it by telling oneself that they’re “mini cookies”. What could be better? 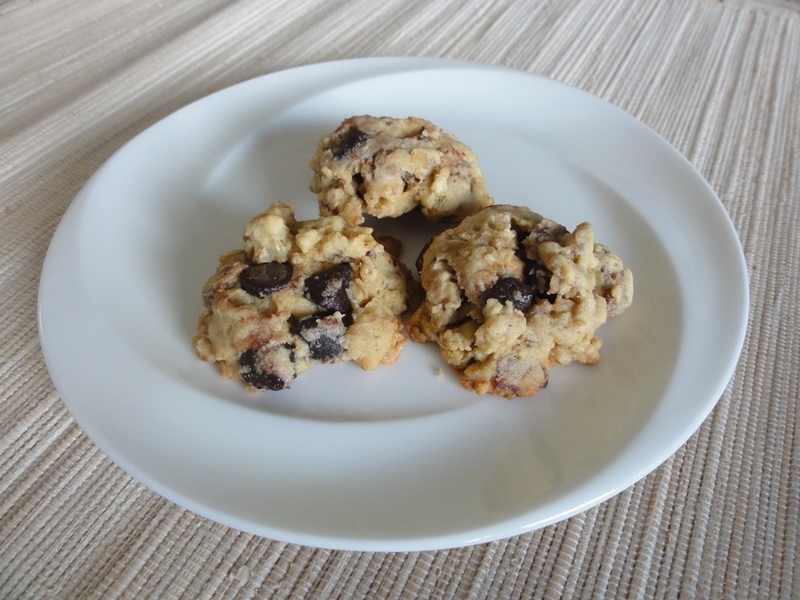 So if you’re looking for a cookie recipe that you can safely freeze the dough for, to save you the preparation time a few days or a few weeks later, I can recommend Lucy Doncaster’s Oat Chocolate Chip Cookies. You can make the dough the same way you would if you were to bake them right away and then just roll up and freeze the dough instead of chilling it in the fridge. Take it out of the freezer roughly 24-48 hours in advance and then all you need is time to carve the dough out onto trays and bake up some cookies!